Hotel de Luxe – Renco S.p.A. CLIENT: RENCO GESTION IMMOBILIERE S.A.R.L.U. 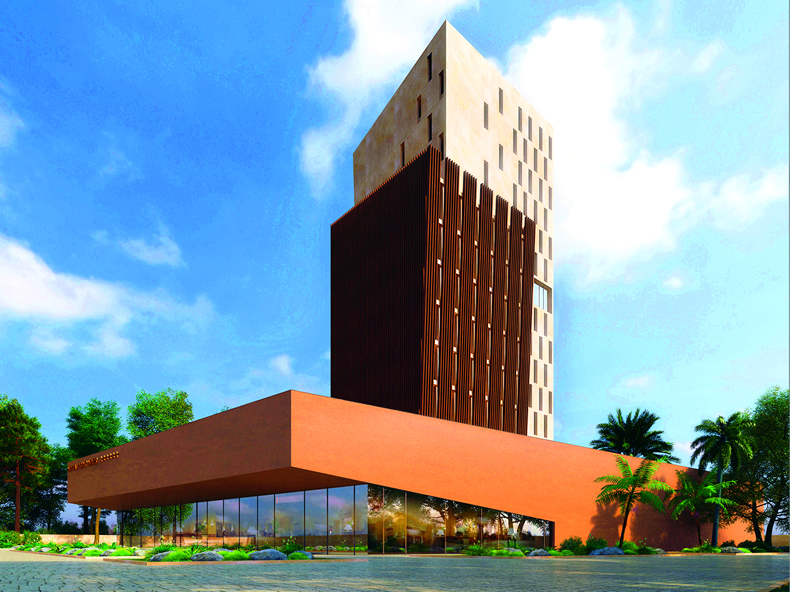 Turn Key construction of a Luxury business hotel DoubleTree by Hilton with 100 standard rooms, 14 superior rooms, 4 junior suites, 3 senior suites in the centre of Pointe Noire. The whole design of the 16 floors building (ground + 15 floors) has been realized by Renco in cooperation with an international design institute and Renco’s scope of work included a “turn key“ erection, from excavation to supply and installation of FF&E. Hotel also includes external swimming pool, restaurant, conference facilities with 2 meeting rooms, fitness centre, two bars, terrace/solarium.